I found this quite fascinating ….. but not surprising. During WWII Britain's population was short of food. 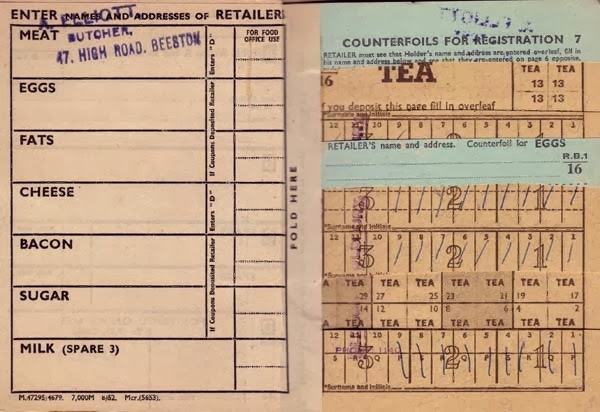 Rationing was put in place for such things as butter, sugar and bacon which was then followed up with eggs, meat, cheese, cereals, jam and milk. So far I see that list as pretty impressive. 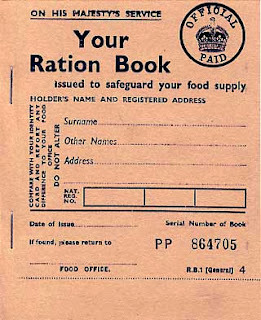 Every person was issued with a ration book. Some exceptions were made with the likes of pregnant women and children given extra milk and eggs. 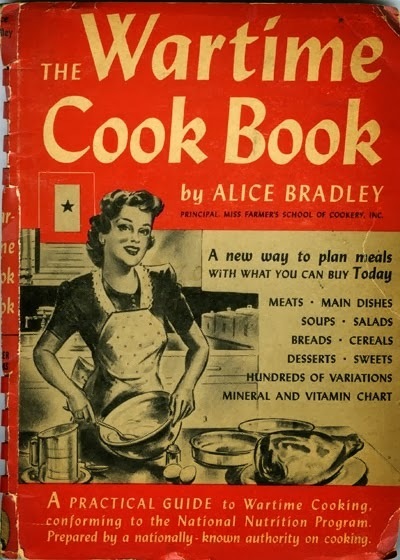 The under 5 year olds had organ juice, blackcurrent juice, rosehip syrup and cod liver oil, but interestingly enough they were only allowed half of the meat ration. To make up for the rationing, people were encouraged to dig up their flower gardens and plant vegetables. 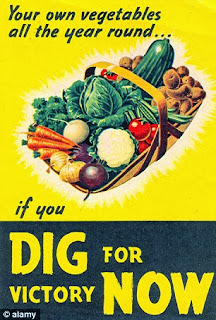 The government also provided public areas which, even today, are used for vegetable growing - called allotments…awesome idea. 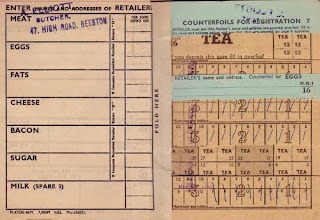 Along with the rationing of food, there was also rationing of petrol which meant people either used public transport, walked or biked to get where they wanted to go. With all that walking/biking along with digging in a garden you can imagine how fit they were. During this time, no-one went hungry. The population slimmed down, were healthier and there was a fall in tooth decay. I would also guess that community spirit was lifted, and that people were more likely to help each other. It's a pity these ethics didn't continue. 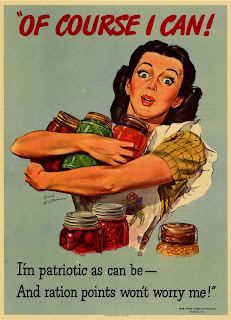 Yes, I know, people were so grateful that the war years were over and so enjoyed the abundance that followed in the 50's. I'm certainly not advocating a war, but I do wonder why we continue not to learn from history and apply those wonderful benefits somehow to our modern society. Guess I'm just a fairy wishing upon a star.